Two new renderings of stations along the proposed SkyTrain extension from Surrey to Langley have been released. TransLink recently launched a new website, surreylangleyskytrain.ca, chronicling updates on the project. The site includes renderings of two future stations, one at Willowbrook in Langley (above), and a second in Surrey (below). Rendering of future SkyTrain station in Surrey. 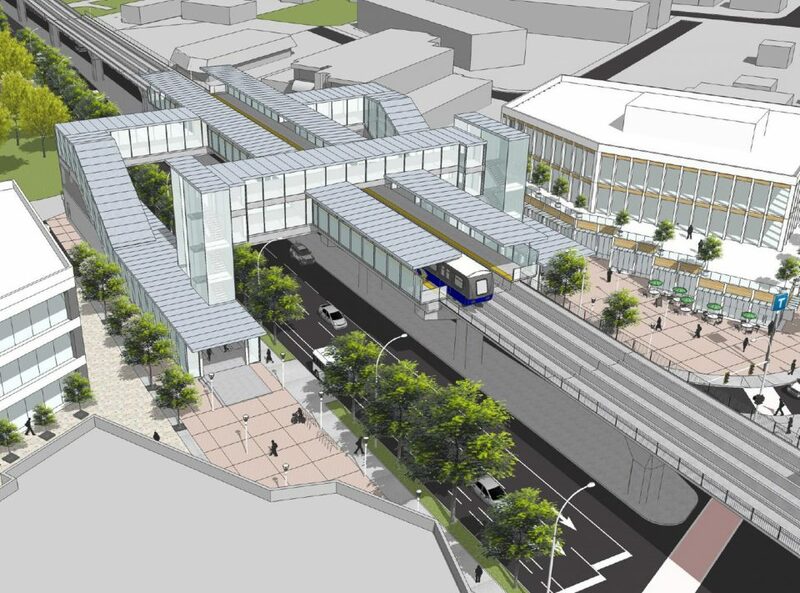 The renderings show two different styles of SkyTrain stations: boarding in the centre of the tracks, and boarding on each side. The 17-kilometre Surrey Langley SkyTrain will extend from King George Station along Fraser Highway to 203 Street in Langley. 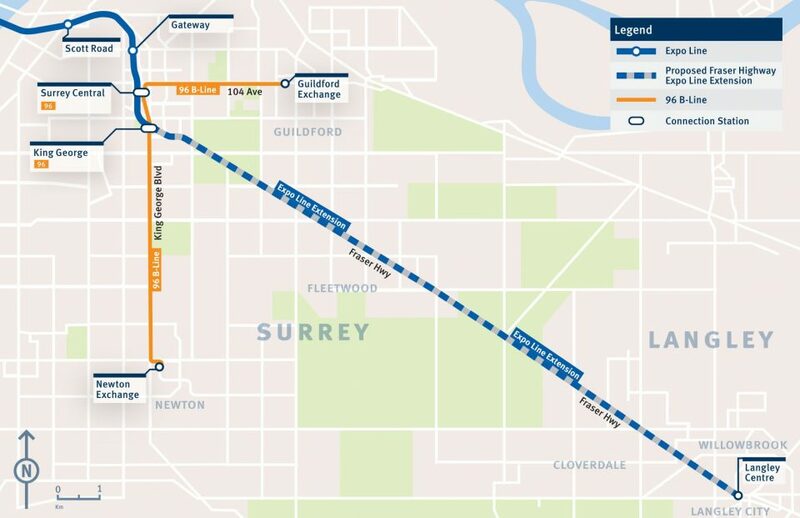 Map of proposed route of SkyTrain extension from King George station in Surrey to Langley. TransLink says it’s working to determine how far along Fraser Highway the line could be constructed with the approved $1.6 billion in funding, which was previously allocated to an LRT system. The LRT plan was scrapped with the election of Surrey mayor Doug McCallum, who made SkyTrain “all the way to Langley” one of his central campaign promises. Additional funding from the federal and provincial governments will likely be required in order to complete the line to Langley.